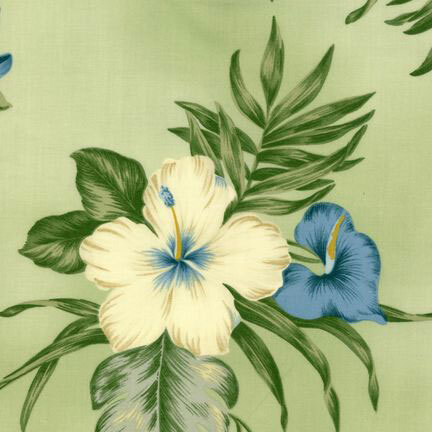 Classic tropical flowers over a light sage background sure to brighten up any beach house. This lightly flowered Hawaiian design will be sure to remind you of a simpler time and sandy beaches. Available in tropical comforters, duvet covers, shams, window dressings and more. Order online here or give us a call at (949) 545 - 6730 to bring Lei Me Down home today! Our hawaiian print bedding duvets are the perfect summertime retreat, and when it’s not summer, beach bedding will make you feel like summer never ended! Our bed spread and tropical bedding are a perfect nighttime getaway. Hawaiian bedding is like sleeping in an island paradise every night. Hawaiian print bedding is perfect to re decorate any room in your house. Our surfer bedding brings home dreams of surfing big set waves. If you have a little one coming, purchase our high quality and unique hawaiian baby bedding, or kid comforter with a coordinating surfboard rugs. Here at our online store we carry a very wide selection of hawaiian print bedding and surfer bedding to choose from. Our tropical beach store sells bed spreads comforters, and kid comforter for all your hawaiian bedding needs. We are surfers here at Dean Miller bedding so we know surfer bedding, and what your hawaiian print bedding should look like. We got your whole surf room covered from the beach comforter to surfboard rugs on the floor, to a wall covered in Surf art, and we even make Surf clock decor so you know when to go surf. Hawaiian baby bedding is available here as four piece crib sets. If you have any questions concerning our webstore www.deanmillerprints.com a kid comforter, or any other questions relating to a surf bed comforter or surf bed spreads comforters we will be happy to answer any and all questions. Even if it is not our surf decor product, we are very knowledge in the area of surf bed spreads comforters since we have been selling this beach product category, bed comforter, for so long. Believe it or not, we actually enjoy making surf bedding comforter products. Thanks for checking out our little beach site on the internet www.deanmillerprints.com and don't forget to give us a ring at 949.545.6730 with any surf bedding comforter questions or just to chat!